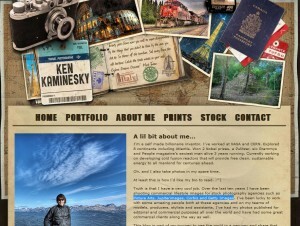 This weeks Photo Website is the Ken Kaminesky blog. Ken is a commercial lifestyle photographer shooting for stock agencies like Picture Arts, Jupiterimages, Corbis and Getty Images. We have a portfolio and interview with Ken in the January issue of PhotoComment magazine.